Ebola running blog: Updates on virus in West Africa, Dallas, elsewhere. Two health workers in Freetown, Sierra Leone. Slate will post running news updates about the ongoing Ebola story below. For other Slate coverage of Ebola, click here. Klain, a longtime Democratic operative, served as Biden’s chief of staff from 2009 to 2011 and as Gore’s from 1995 to 1999. He helped oversee the Democratic side in the 2000 presidential election recount as its lead lawyer. Since Klain left the White House in 2011 he’s apparently been working for Case Holdings, which manages the “business and philanthropic interests” of America Online co-founder Steve Case. Update, 11:45 a.m.: A Texas Health Presbyterian Hospital Dallas employee who “might have had contact with specimens of [Ebola]” is on a cruise ship somewhere near Belize, the New York Times reports per the State Department. The employee is said not to have direct interaction with any symptomatic patient, and neither the employee or his/her traveling partner are apparently showing any signs of infection. They’ve nonetheless agreed to remain isolated on the ship, and efforts to bring them back to the United States are underway. 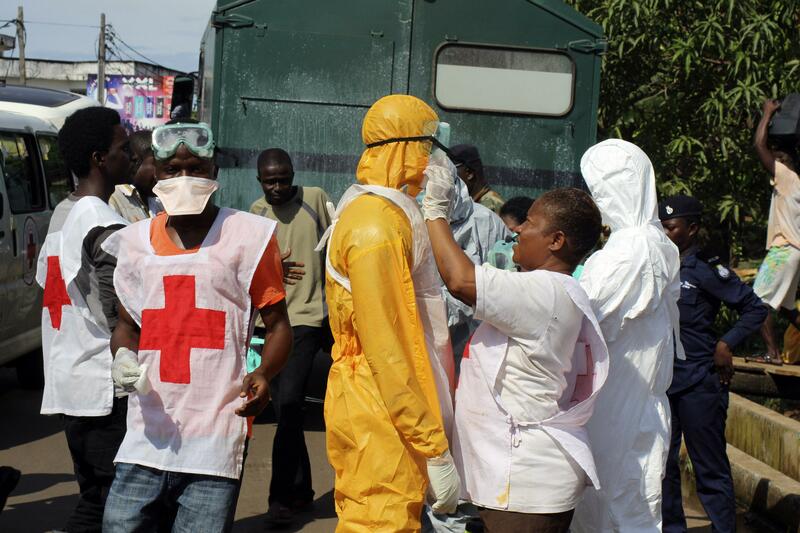 Almost 4,500 people have died of the disease in West Africa during the current outbreak. In a more positive development, the WHO announced today that none of the 74 people who came into contact with an Ebola patient in Senegal have developed the disease, and no other cases of the illness are reported in the country.